In order to become fruitful we must accept the knife. It takes a sharp eye and a sharper knife to do the Father’s work of cutting. He slices to the quick, and all that is not useful falls to the ground. The vine will produce grapes, and every bit of “grape-energy” will be used productively. Fruitlessness will be cursed, and sterility is condemned. It takes a decisive heart, as well as a wise hand to prune God’s own vineyard. Fruitless believers may become fruitful ones. Understand, the vine dresser does not attack the vine. He is not malicious or vengeful. All that He does is for the good of the vine. He is motivated to produce fruit. That is what He thinks about; you could say that He is preoccupied with that singular end. Pruning and fruit are concepts that we vacillate over, some days we understand and other days we blow it off. After over 30 years, I’ve heard every “John 15 sermon”. And most of the time I turn down my spiritual hearing aid. That is tragic, and shows my heart has become hardened. I need to come on board with this particular imagery. For years I have asked God to “show me His ways”. I’d like to believe that this understanding of pruning has changed me. I would like to think that I have attained a clearer view of wisdom. This pruning business is all well and good. But being sanctified by the knife is decidedly unattractive and uncomfortable. You must be pruned; pieces of your life are earmarked to be lopped off. (I always wonder if the trees that are spray painted are curious over the why and the when they are to be cut?) In regards to being fruitful we must accept the knife. If we want to be holy and conform to the image of Christ we will be cut. There is simply no other way. You can’t hide the presence of Jesus. There is a ‘built-in’ need for Him in the hearts of men and women. You can’t keep it quiet, it is an open secret. Believing people let it out in many ways. You can see it in their faces, and hear it in their voices. They become gentle and caring, where once was selfishness and anger. Peace is present, and a wonderful new thing called joy. They can’t help but share about their new guest, when they speak it spontaneously spills out. Spring flowers can’t help their beautiful fragrance. There is a fragrance that announces that He is present. You might say that He takes over, just as a bright light takes over the darkness. When Jesus is present, His brightness pushes through the cracks and shines out every window. He cannot be contained or hidden. Love itself is invisible. But it has an effect on all who take it in. The very presence of Jesus transforms us. 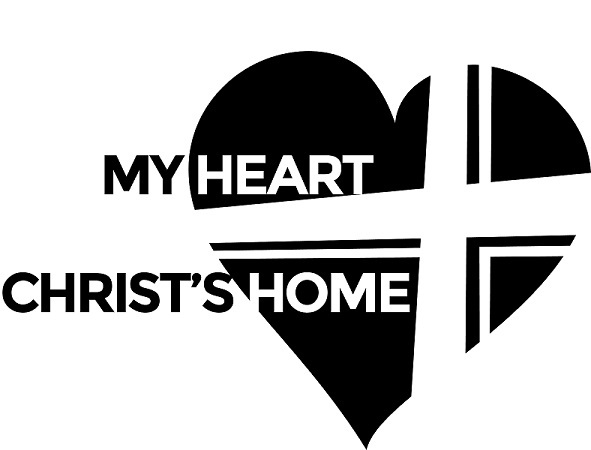 My heart is now His home. People travel and gather great works of art. They collect these things of beauty and culture. They will go out of their way to search for paintings and statues of grace and elegance, and finding them they will spend a great deal of money to obtain them. But no one or nothing can compare to having Christ as the honored guest. The poorest farmer can be the wealthiest man. No matter how quietly Jesus enters, His presence will soon make itself known. Where Christ truly abides, nothing but good will be observed. Perplexing isn’t it? I personally have lived with a certain amount of ambiguity with this passage. I have questions that I’ve swept under the rug. Why did that poor tree get cursed? It wasn’t the trees fault, after all. And didn’t Jesus realize this? So why go through the theatrics? I don’t know if this is the case with anyone else. I hesitate to ask around. But recently have come to a better place about this entire event. The traditional view is that it comes immediately after “the cleansing of the temple” and that explains a lot. The fig tree is always emblematic of Israel. (The Old Testament is well populated with these references.) Mark adroitly organized his account in order to connect both events. Jesus has no issues or vendettas against trees. But He does take an issue with things that claim fruit, but really have nothing. There is nothing but leaves. I’ve been told that the figs do grow, almost as fast as leaves. The lush greenness is the prime indicator of the succulent fruit. At least, it has the potential. The beautiful leaves announces its fruitfulness. This tree was loaded, but had nothing to show but leaves. Within God’s plan for Israel was for fruit. Enough to feed the nations that would stream to Jerusalem. Instead, it was worthless. There was nothing to be had. Loads of leaves, and the promise of an incredible harvest, but zilch, zero, nothing. Sometimes we declare that we are fruitful, on the mere basis of our leaves. Israel failed God. They became religious and neglected mercy, and justice. Humility and graciousness. The widow and the orphan were not part of their personal equation. They produced leaves by the wheelbarrow load, but were missing out on the authenticity to what was true, and what really mattered. Pharisees will do this, and they turn into hypocrites who do not possess what they profess. A hypocrite values true godliness, but he personally falls short of all those things he admires. But he will never, ever admit it to anyone. And even we who struggle so, must continually admit that we stumble and falter as we try to follow. I may be a ‘screwy’ excuse of being a disciple, but I have decided I don’t want to deceive people. God, help me.